Ever since 1930, the St. Moritz name and logo have represented the world’s most famous winter holiday destination. They are also the oldest tourism logos still in use today and are listed as registered trademarks. There was much head shaking among industry experts when news first broke back in 1987 that the St. Moritz Tourist Board had decided to register the town’s name and logo as trademarks. News of this innovative strategy made headlines across the world, including the front page of the Wall Street Journal and a number of other prestigious financial publications, where it was heralded as a pioneering achievement. Today, the brand is widely recognised in the tourism industry and is a core topic in the technical college curricula. The brand’s consistent, long-term strategy is one of the key reasons that St. Moritz is today known as the world’s most famous mountain holiday destination. The St. Moritz brand and image are among the most powerful in the entire tourism industry. Even the name itself – “St. Moritz - TOP OF THE WORLD” – is magical, evoking safety, quality, consistency, trust, reliability, tradition, expertise and authenticity. St. Moritz itself has also become somewhat of a mecca for other luxury brands from across the globe, drawing some of the world’s most prestigious fashion houses to the small boutiques and shops in the town centre. Four versions of the sun image were registered as early as 1937, while the St. Moritz name was registered in 1986 – making it the first geographical location in the world to be trademarked. The St. Moritz sun logo and lettering replaced the previous snow bunny symbol in 1930 and they are the oldest still in use in the tourism industry today. Four versions of the sun image were registered as early as 1937, while the St. Moritz name was registered in 1986 – making it the first geographical location in the world to be trademarked. In 1987, the sun logo and lettering were joined by the triumphant St. Moritz holiday colours of yellow and blue. The brand also introduced its “Top of the World” slogan, the brainchild of International Management Group IMG (USA). The brand then remained untouched until 2010. In June 2010, the St. Moritz logo underwent a slight makeover as part of a new brand strategy: the famous St. Moritz sun was made yet more prominent, while designers removed the line beneath the logo to emphasise that lettering, logo and slogan represented a single unit. The colour of the lettering was also upgraded to the elegant dark blue you see today. 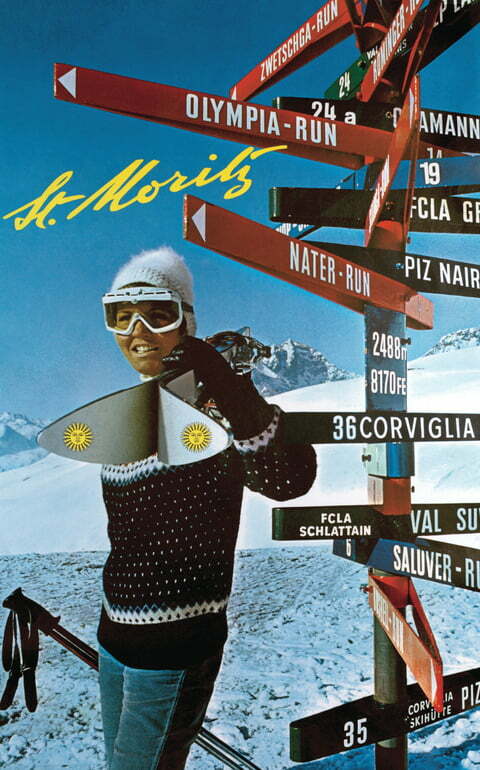 The St. Moritz logo and slogan are protected and listed as registered trademarks. The brand is owned by the St. Moritz Tourist Board, which is responsible for issuing licences to local and international companies. Skis, champagne and coffee. Watches, wine and home fragrances. A wide array of international companies use the St. Moritz name for their products. Though it should come as no great surprise: the name helps them to benefit from excellent brand recognition and St. Moritz’s prestigious reputation around the world. 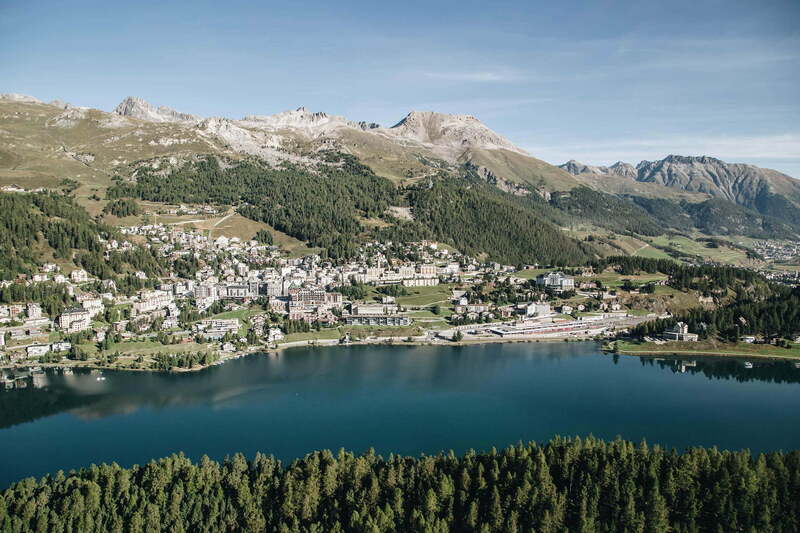 To prevent its good name from being exploited, St. Moritz was the first geographical location to register as a trademark in 1986 and its name is now protected in around 50 countries. Since then, the brand’s owner, the St. Moritz Tourist Board, has been issuing licences to interested companies and their products, with different licences available for various categories. Use of the brand for tourism services is free-of-charge for local residents, companies, associations, event organisers and public authorities in St. Moritz. Users are required to meet the high-quality service standards associated with the brand strategy and regulations and the services offered must be subject to taxation in St. Moritz. Furthermore, all applicants must be members of the St. Moritz Tourist Board. Use of the St. Moritz brand for goods and services outside of the tourism industry requires written approval. Restricted licences can be issued for use solely in St. Moritz. Any use outside of St. Moritz must be governed by a corresponding, more detailed licensing agreement. Licences are granted at the St. Moritz Tourist Board’s discretion.